ManaCollect Is Coming to Steam! Download Press Kit with screenshots hereMarch 17, 2015– Independent game publisher Fruitbat Factory is proud to announce their next release, developer Tazigen Clock’s Action/Puzzle game ManaCollect is coming soon to Steam and other distributors. ManaCollect is an action packed take on the classic game of Minesweeper. Two contestants compete on a grid based arena to collect hidden mana by following numbered hints and unleash special attacks to drain their opponents mana. “We love games with a unique tactical twist. When we saw ManaCollect, we thought this game is right up our alley. We’re happy to have a chance to bring this cute but intensive game to players worldwide.” says Jakke Elonen, Project Lead. ManaCollect will come priced at $6.99. The game will include Steam Trading Cards, Achievements and other Steam features. Game trailer can be seen on the Steam page. “I see ManaCollect as an interesting mix of Minesweeper and fighting games. Instead of casually figuring out the locations of mana spots, now you have to run through the numbers as fast as you can before your opponents gets ahead and gathers enough mana to unleash her devastating attacks.” adds Ozhan Sen, Art Lead. For more information, business enquiries and to be included in the press release and review mailing lists, contact Fruitbat Factory at info@fruitbatfactory.com. Fruitbat Factory is an independent localisation house focusing on bringing interesting Japanese games to English-speaking audiences. Tazigen Clock is an independent Japanese game developer. 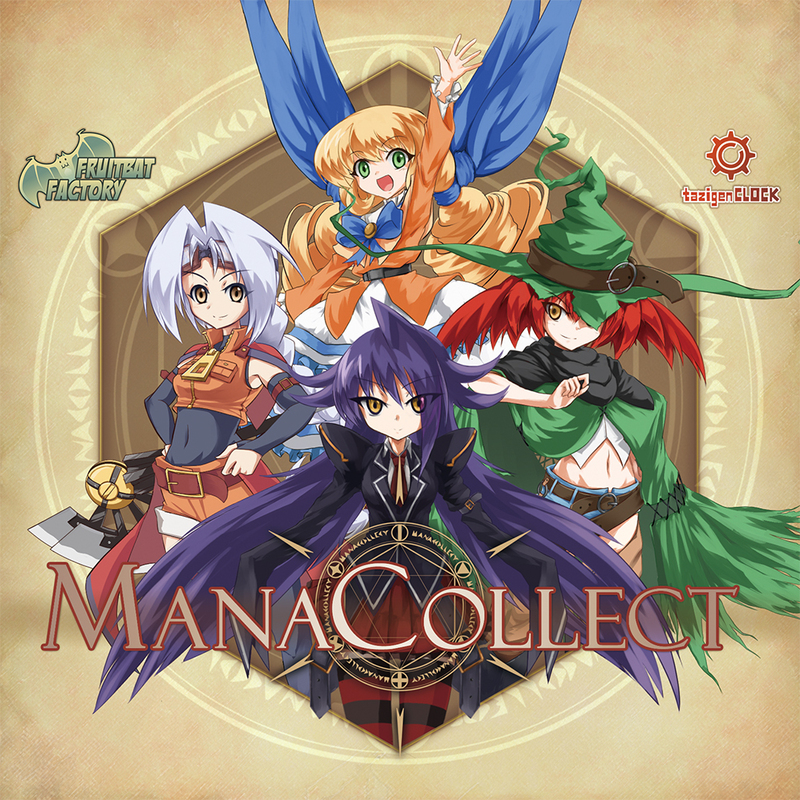 ManaCollect is their first release. Orange Juice Fan Art Contest!